Pexels - Free Stock Photos with API AvailablePexels started a year ago and has since evolved to a huge database with a lot of amazing free stock photos. To grow Pexels even further they had recently rewrote the whole application and released Pexels 3.0. You can like photos to save them for later and to motivate the photographer. 7 Sources of Free High Quality Stock ImagesFinding a high quality stock photo for free used to be quite the chore -- there were very few options available, and the inventory that was available was marginal quality at best. Oh, how the times have changed. Now, there are so many free stock image websites that it can be overwhelming, to a degree. Would you recommend Pexels 3.0 to a friend? We just launched the third version of Pexels. With this version we want to make it even easier to find completely free stock photos. What has changed since the last version? - You can like photos to save them for later and to motivate the photographer - We now add 20 new images per day (twice as many as before) - You can upload your own photos to Pexels: https://www.pexels.com/submit-ph... - A new discover page (https://www.pexels.com/discover/) - API (https://www.pexels.com/api/) - Many design improvements (new header, larger preview images, beautiful new photo details, …) We hope you like the changes. If you have any question about Pexels I'll be more than happy to answer them. @3runjo Any plans to allow image tagging? @joshdance @3runjo I think they already have tagging in the sense that I'm thinking of. When you upload right under the picture there is a form for tags. @joshdance @3runjo just about to say this. 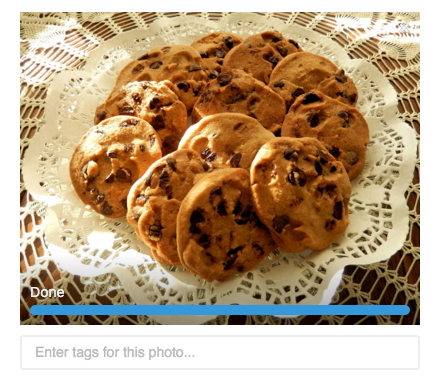 Pexels is by far the best resource for free images, but I find that the in-built tagging categories are too broad. @3runjo If your stock photos are free. How can Pixel be sustainable as a business model? Will Pixel indemnify all of these free stock images being offered on your platform? @3runjo In my opinion, the best free stock photos website of the bunch. Great interface, phenomenal selection. Congrats on the launch! there seem to have been lots and lots of stock photo websites posted to product hunt. does any one have any insights as to how they compare? @_jacksmith Compared to other free stock photo providers Pexels has a huge and a fast growing library with only high-quality pictures. Moreover, we have a powerful search and we’re constantly improving Pexels. @_jacksmith To be honest they are all starting to have the exact same photos. Hitting up aggregators like allthefreestock.com always seems to be my course of action. @scrivs I agree @_jacksmith They all seem to have the same images at this point. @_jacksmith I like to be open minded, loving and caring. However, why the heck do we have a new photo aggregation site at the top on PH every week? Can someone please explain? Pexel is one of the best sources for high quality stocks. This new version makes it easier to find and download images. I've tried a lot of different free stock photos websites and Pexels as been my number one go to source for my needs. Great work on the update guys! @bruno_mart Same here. It's just awesome.